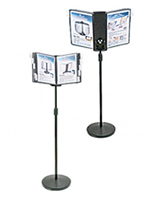 Information center can hold standard brochures or catalogs in each pocket. 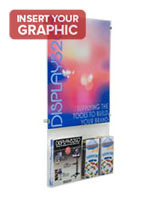 Poster holder is designed to hold a 22" x 28" graphic. 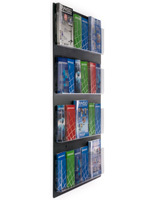 Wall-mounted display includes screws & wall anchors for installation. 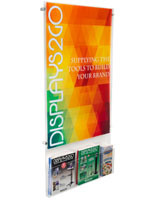 This information center is made from ABS plastic and acrylic for a durable display. 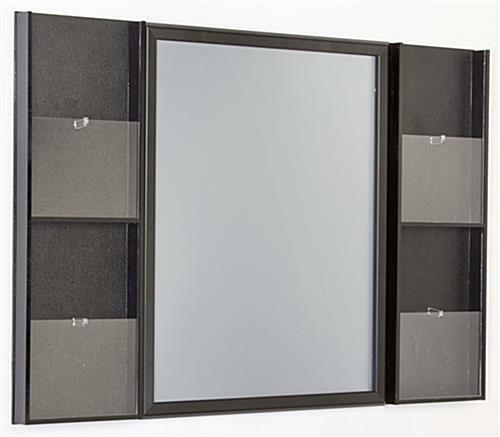 The frame features a black finish with clear pockets to easily blend in with any location. 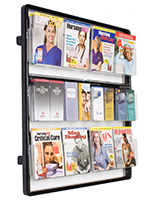 The information center holds both catalogs and brochures in each of the (4) pockets on either side of the poster holder. 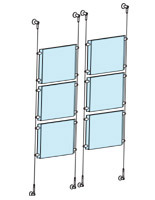 A removable divider is included to separate the pocket to hold (2) sets of standard-sized brochures. 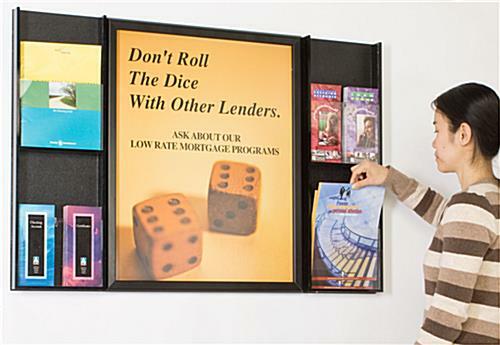 This information center is typically found in offices, schools, universities, and recreational facilities for displaying various types of literature to promote services. Pairing a poster with brochure holders creates a multi-purpose fixture to promote businesses to passersby, and provides them with additional informational brochures. The information center has a 22" x 28" snap frame poster holder. 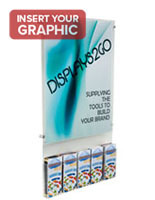 The lens included with this poser holder helps to prevent damage to graphics placed within the display. 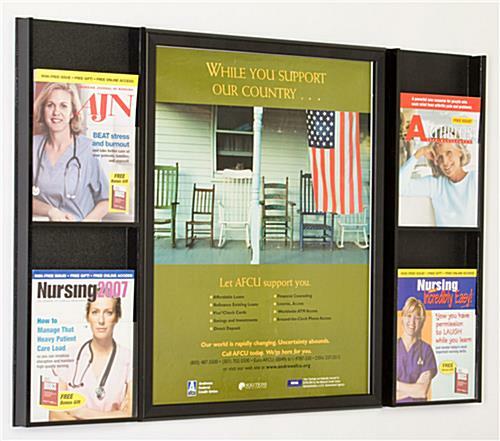 This information center, also known as a services display, uses a snap frame for fast graphic changes to be made easily, even in federal government buildings and education settings. In order to change out graphics, snap open of the (4) sides of the frame, and remove the provided plastic lens and graphic. Simply insert the lens on top of the new graphic, and snap the frame edges closed to ensure graphics stay in place. 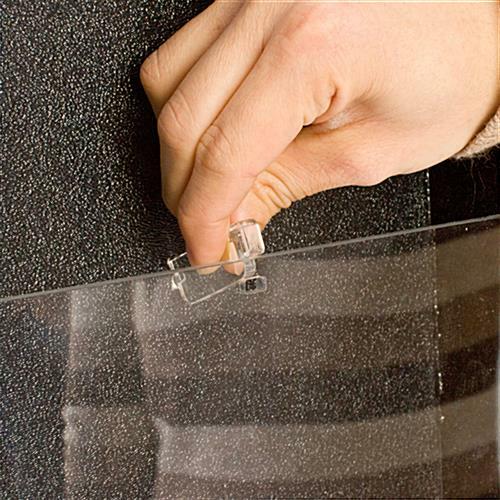 The resources display board includes the necessary screws and wall anchors for mounting on nearly any surface. 43.6" x 29.8" x 2.1"
10.3" x 7.1" x 1.5"